At a previous job, I planned corporate events. I’ve done everything from a 50 person luncheon to a 1,500 person awards gala. On the side, I’ve helped a few friends plan their own weddings. So naturally, when we got engaged I thought it would be easy to plan my own wedding. Boy, was I wrong! Even though I helped my friends, there were so many decisions beyond what I was involved with. A wedding is personal. It reflects your style. Every decision, from the location to colors to music to food, is a reflection of your personality. I needed to keep myself organized. I found some checklists and timelines on Pinterest, so I printed them and created a binder. Unfortunately, the binder was big and bulky, and it wasn’t easy to carry it around. I ventured to Barnes & Noble to see if there were any books that could help. 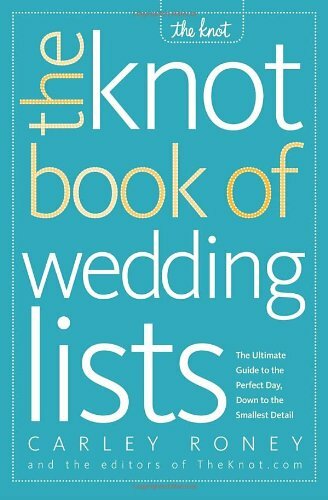 I found a book that became my planning bible: The Knot Book of Wedding Lists. It has everything you can possibly think of. From choosing a theme to questions to ask your caterer, this was GOLD! Not only did it give you a month-to-month checklist and a list things to consider, but it also educated you on how to pick vendors. I could check off items as I completed them and could take notes on the side of each page. Plus, it’s a small paperback (5.5 x 7.5), so I was able to fit it in my purse or take it to work. This book was an all-encompassing know-how. My mom even bought a copy! I now gift this book to all my newly engaged friends. It’s a MUST have for all future brides.